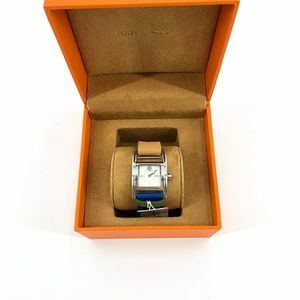 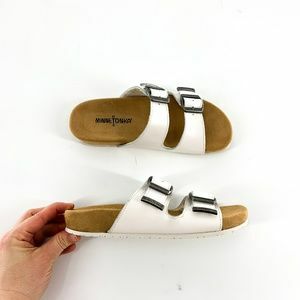 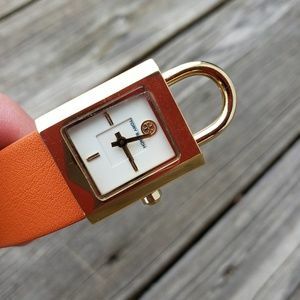 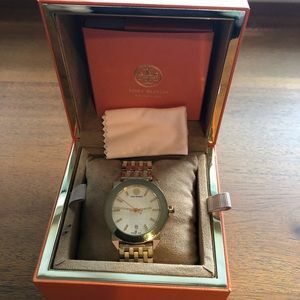 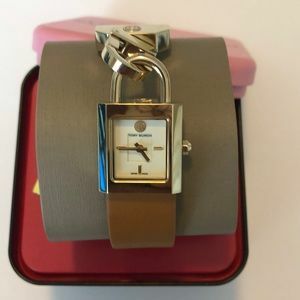 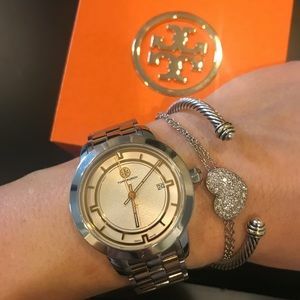 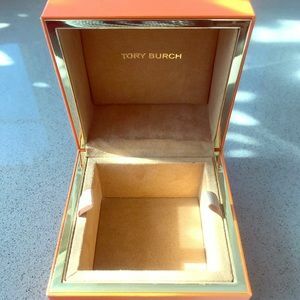 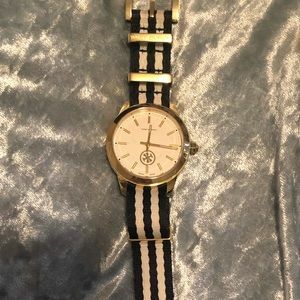 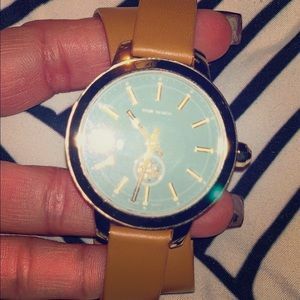 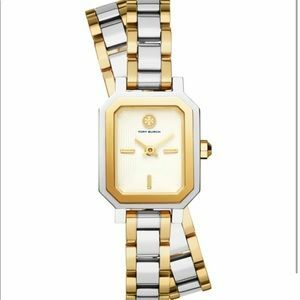 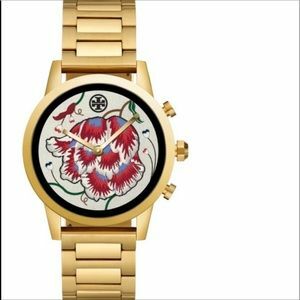 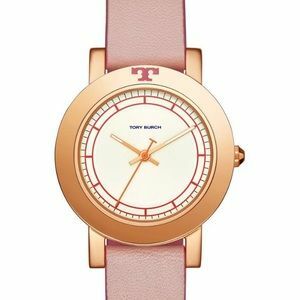 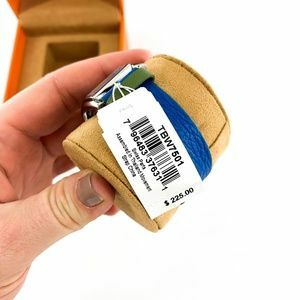 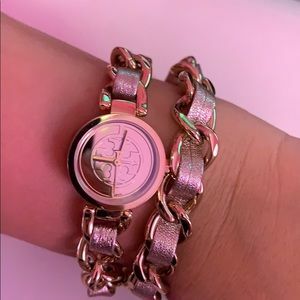 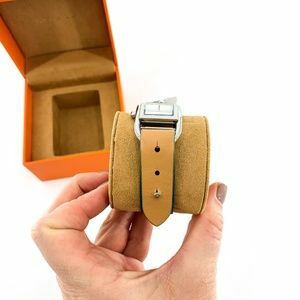 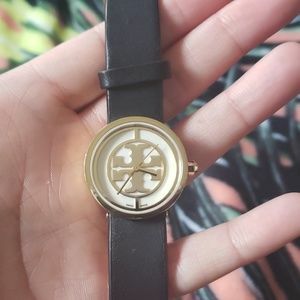 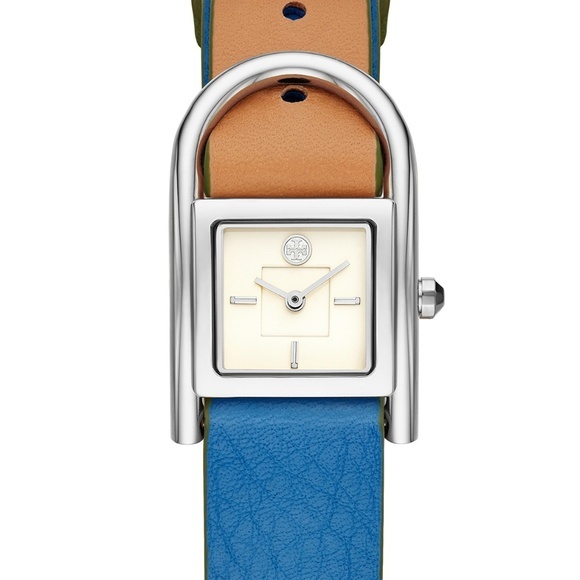 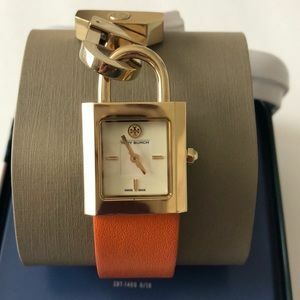 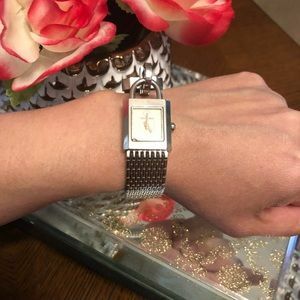 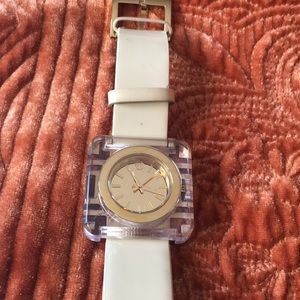 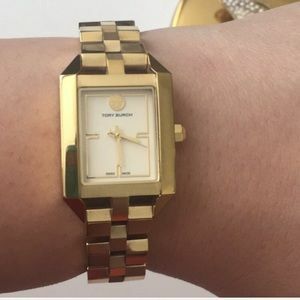 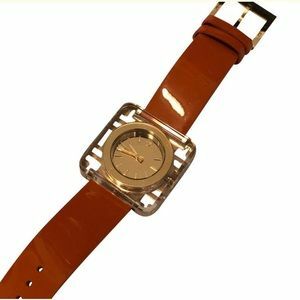 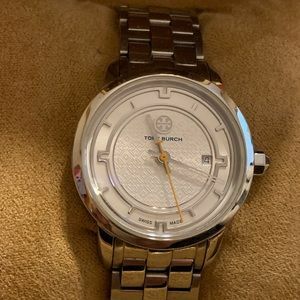 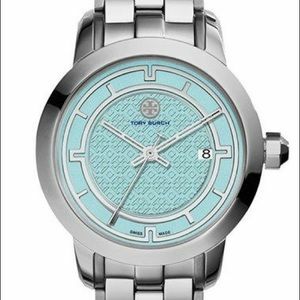 Tory Burch Womens Thayer Denim & Beige Leather Strap Watch 25x39mm $225 Sophistication and style coalesce in Tory Burch's Thayer timepiece, where bright denim blue and beige leather are united by an equestrian-inspired stainless steel case. 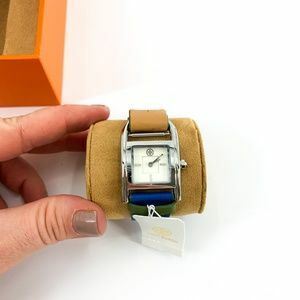 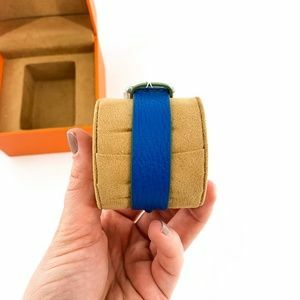 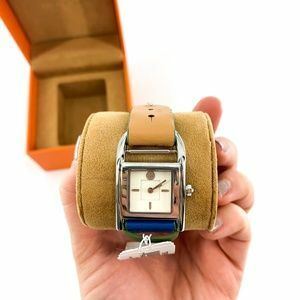 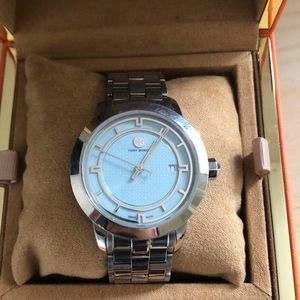 Style #TBW7501 Movement: quartz Case: rectangular stainless steel; 25x39mm Strap: denim blue & beige leather with stirrup-inspired closure; approx. 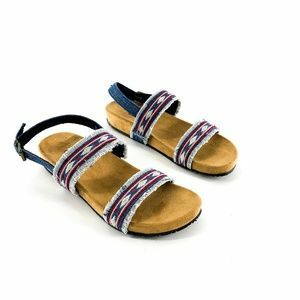 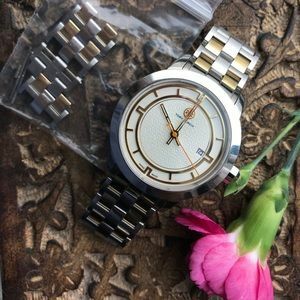 adjustable length: 175mm Dial: cream Water resistance: to 30 meters Ships same or next day!